Chemists frequently use rubber stoppers in their labs to plug flasks and test tubes. The purpose of these stoppers is to prevent liquids, and sometimes gases, from escaping their containers, as well as prevent contaminants from entering the containers. Normally, liquid chemicals are contained within opaque bottles with screw-on caps, but chemists mix chemicals in glass test tubes and flasks that do not have threads upon which to screw a cap. The rubber stopper is the ideal tool for plugging these containers. Choose the rubber stopper of the correct size for your container. A rubber stopper is designed such that the top end is wider than the bottom end. 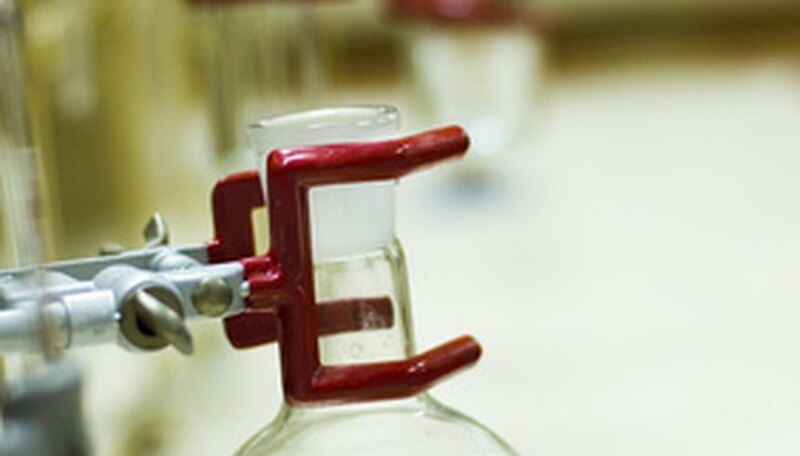 A rubber stopper will be the correct size for a flask or test tube if the bottom end is narrower than the opening of the flask or test tube, but the top end is wider. Choose the correct number of holes in the stopper. Most rubber stoppers are solid pieces of rubber with no holes in them. These are fine for working with non-volatile chemicals that do not build up pressure in a sealed container. 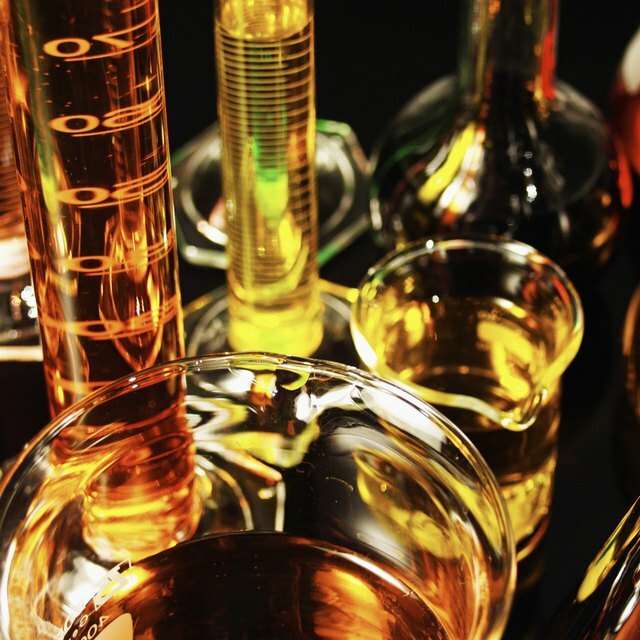 Certain chemical mixtures have high volatility and can create gas pressure that can break a glass flask or test tube. For such mixtures, stoppers with holes should be used to allow the gas to escape before too much pressure builds. Chemists also use stoppers with holes if they are using the flask or test tube as part of a larger apparatus, such as a distillation apparatus, and will be connecting various sealed containers together with tubing that runs from stopper to stopper. Note that when inserting tubing into the hole of a rubber stopper, a lubricant should always be used to reduce the risk of breaking the tubing or container when forcing it into the hole. Insert the stopper that you have chosen narrow-side-first into the opening of the test tube or vial that you are sealing. Push it far enough in so that you meet significant resistance to further pushing, then stop. Do not use excessive force to push the stopper too far into the container because you could break the glass. Banas, Timothy. "How to Use a Rubber Stopper in Chemistry." Sciencing, https://sciencing.com/use-rubber-stopper-chemistry-6208981.html. 24 April 2017.